Home » finance » house » investments » real estate » How Much Home Can You Afford? So you are thinking about buying? Knowing how much you can afford is the first step to finding your home sweet home. To get to the numbers you will to need to gather your debt, expenses, savings and income information for your loan agent. A review of your assets and income versus your debt and monthly expenses will provide an estimate for how much mortgage loan you can get pre-qualified for. It will also help you find the right type of loan for yourself. A pre-qualification is the easiest one of two documents you can obtain to show the sellers that you are serious about your offer and financially capable. To have this document in your hands will save you a lot of time and enable you to move quickly should you find a home and wanted to make an offer. It helps you to focus on your price range and stay realistic to what you can afford. Some sellers might require a pre-approved letter. This document is indications to weather you have the financial means to purchase his / her home. 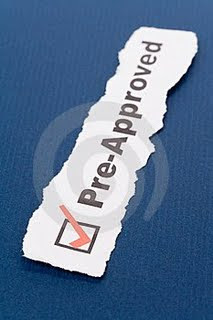 A pre-approval is a calculation done by a mortgage lender, which is the amount you will be able to finance through a loan and what your monthly payment will be. How much home you can afford will depend your gross income, your available funds for down payment, closing costs and cash reserves required by the lender, your debt, your credit history, the type of mortgage you select, and current interest rates. Your first loan is very different than your second and refinancing your mortgage. Owning your home is a great accomplishment, not to mention that it is a much wiser financial strategy. Having a mortgage will entitle you to get the tax refunds, rebates and deductions that you wouldn't have if you didn't own. Thank you for reading. I hope you find this article informative. Please feel free to contact me or comment below with any thoughts. Thanks for the advice, and useful information, Amanda! Good post. Found this at BC Doan's link. Thanks. @Icy BCBuying a house isn't easy, but there are steps to take that would simplify the process. @MaeSo great that you stopped by. Hope the information was helpful.